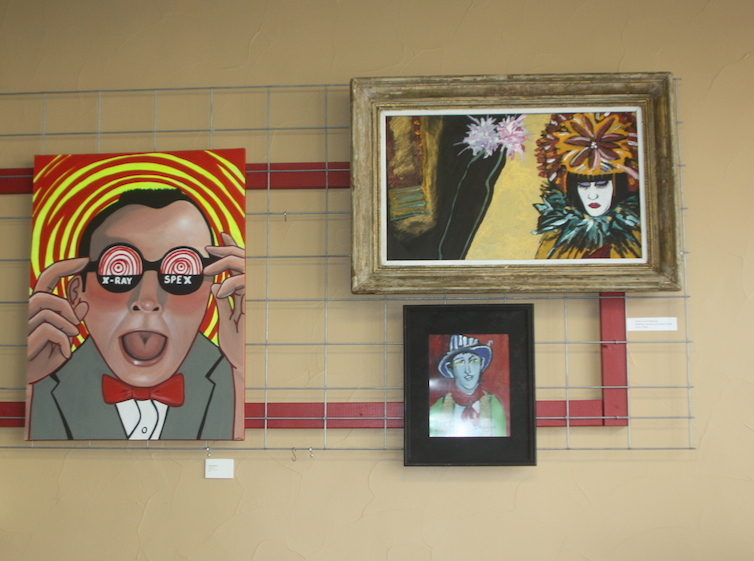 While enjoying good food and drink, sit back and treat yourself to the artistic offerings of visual and performing artists at the newest venue for the arts in Seguin, the Court Street Coffee Shop. 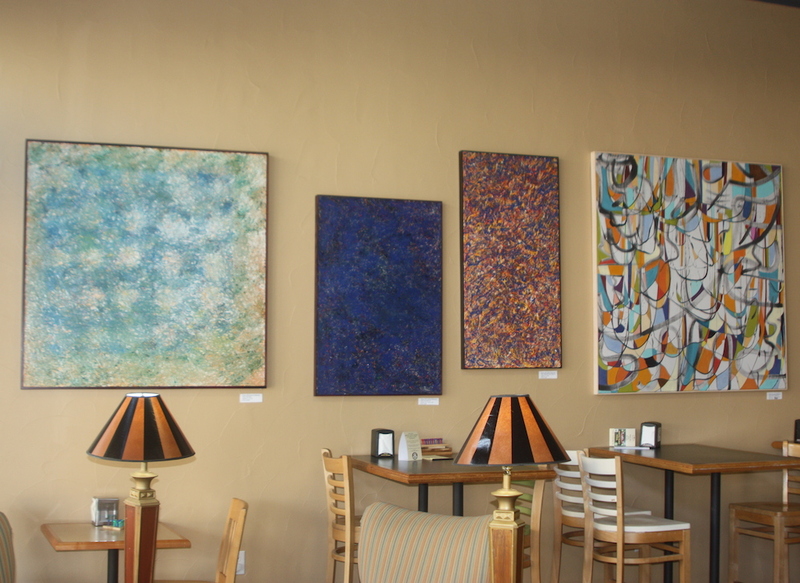 Paintings, photography, and sculptures add to the homey ambiance of the coffee shop. 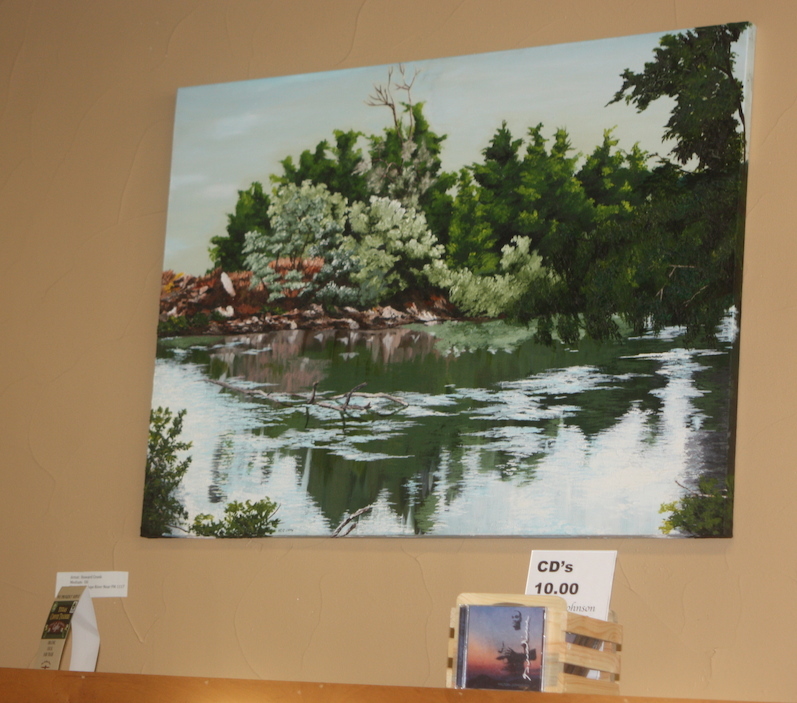 Some of the artists represented are Michael Bednarski, Cathy Cordes, Matt Chase and Howard Crunk. 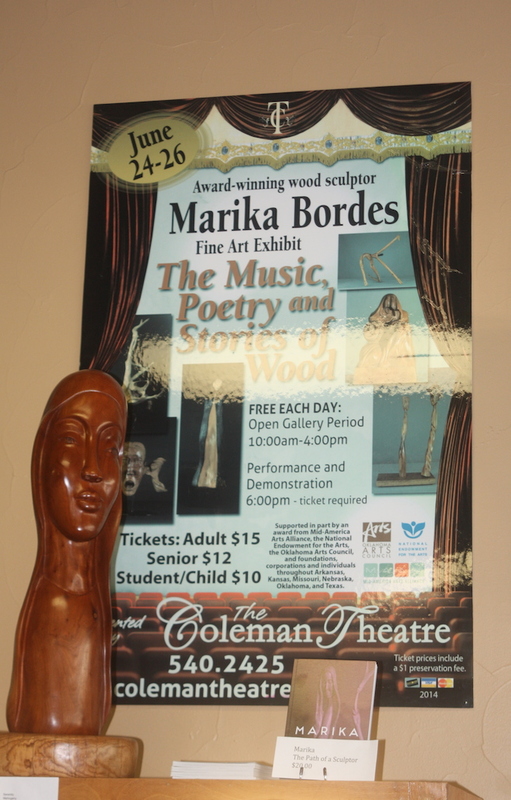 Next to the theater poster of Marika’s show in Miami, Ok, you will see two of her sculptures and the book “Marika: The Path of a Sculptor”. 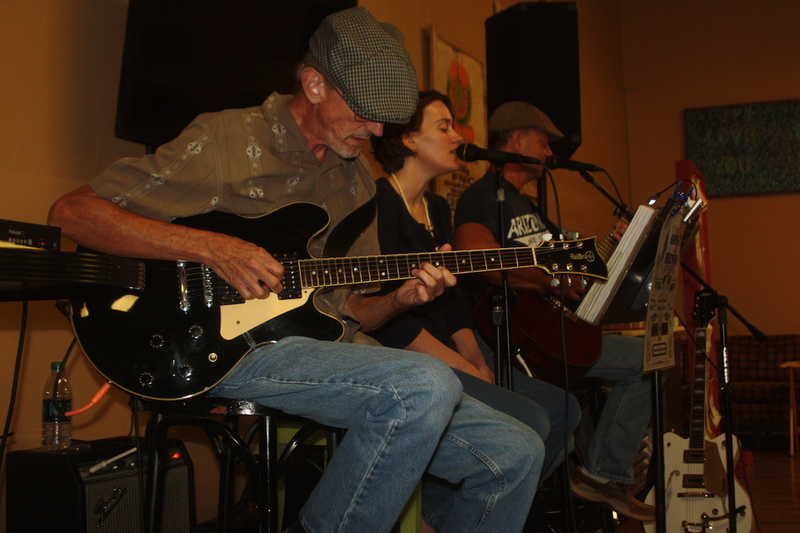 For the performing arts, Thursday evenings is time for music. A list of recent performers include Bennett & Hines, Andy Cottrell, and Shand Walton & Manzy Lowry. Stay tuned. 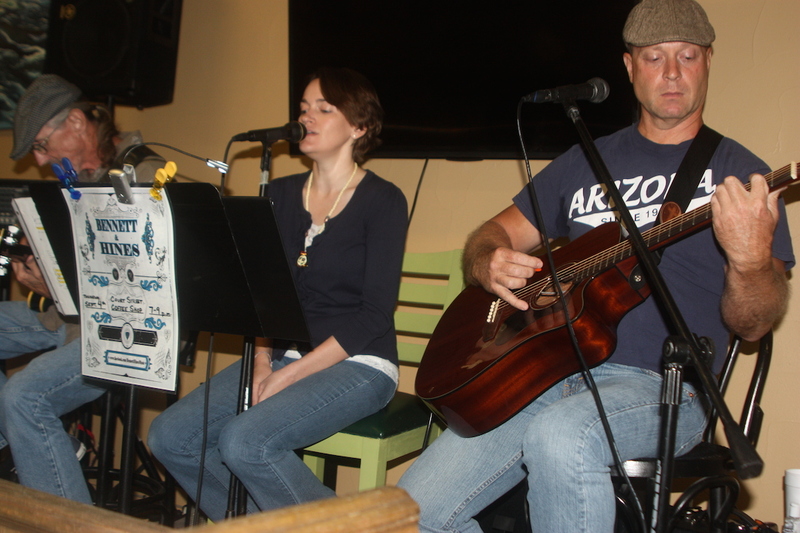 There are plans for musical entertainment at the pet-friendly patio in the back courtyard. There are whisperings of having poetry readings, one act plays, and a puppet show for children young and old! 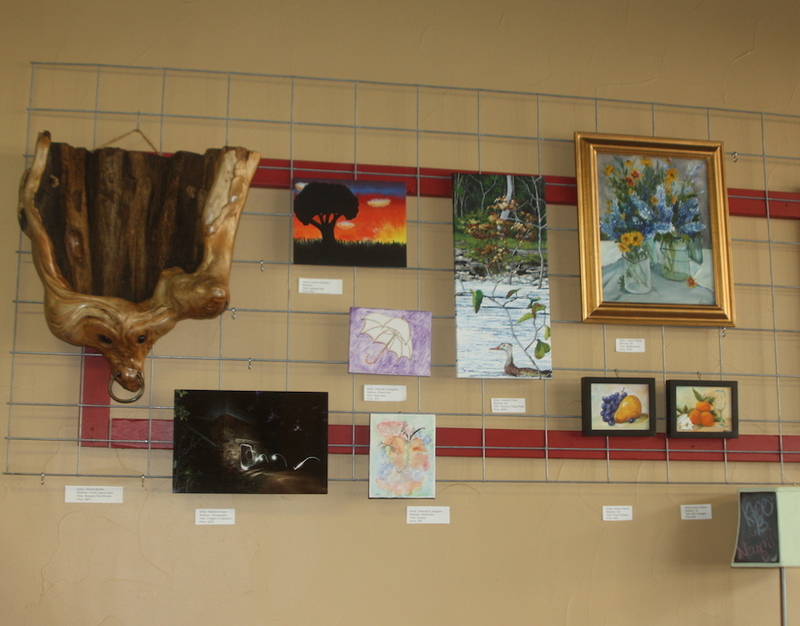 Thank you, Court Street Coffee Shop for promoting the arts in Seguin! Greetings to you and welcome to “The Path of a Sculptor”. 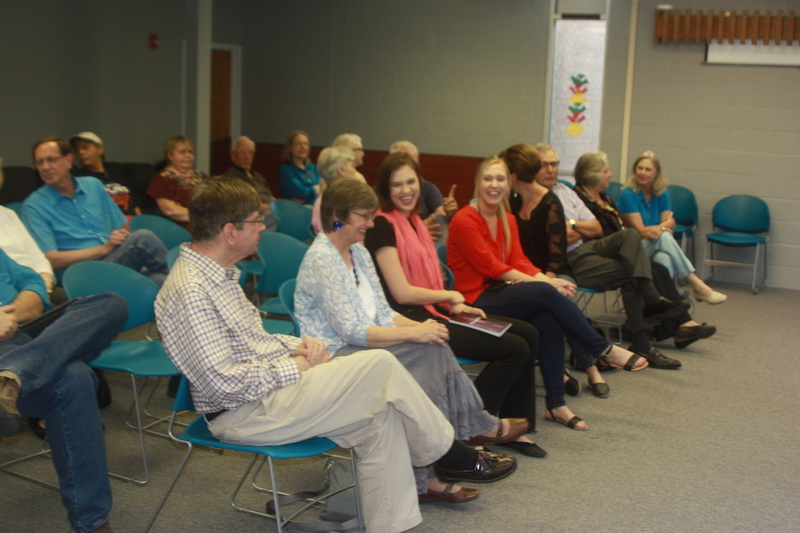 I want to thank Jackie Gross and the library staff for allowing us the use of the conference room and for publicizing this event. We deeply appreciate your kindness. Thank you Jackie. The cradle to our culture. MY LIFE ripens by receiving nourishment from soils of many cultures. The sculpture “I Am What I Am” is the fruit of the changing seasons of my roots. We wrote this book with the hope that it will fuel your personal growth and creativity. At this step of my journey, sculpture is an outlet for my creativity. What is yours? Let us listen to Gretchen Stankey who will read one of the message contained in this book. 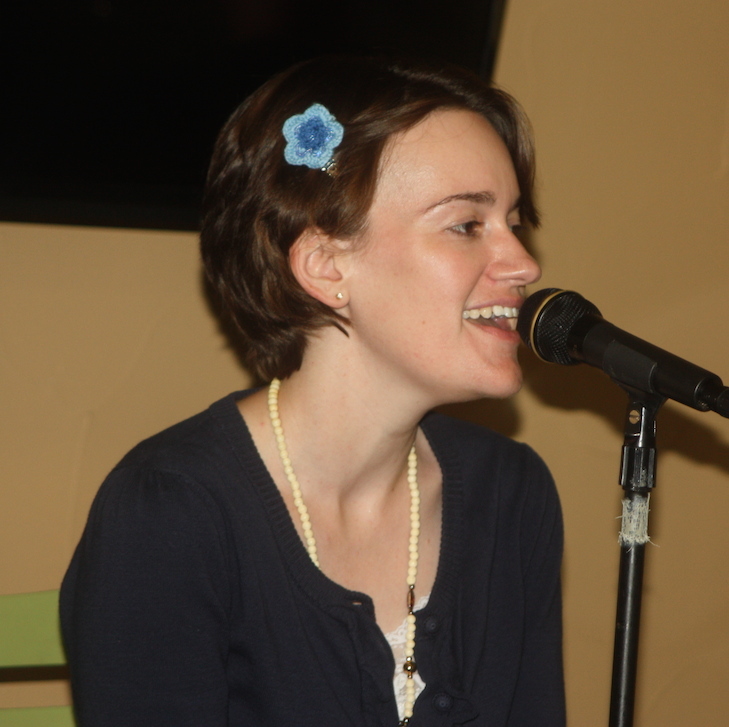 Then, Whitney R. Bishoff who was inspired by The Beggar wrote a poem for the book and Lynn E. Pfullmann who gave flight to her creativity through writing and sculpting. She will read “What it felt like to sculpt”. Please enjoy them while keeping in mind the next steps for your full potential. 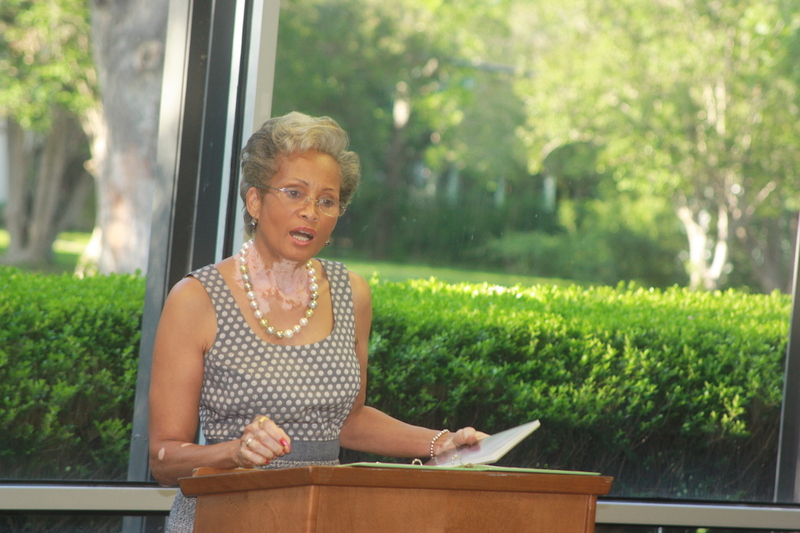 Thank you for your presence and I will be signing “The Path of a Sculptor” afterward. Life overflows with inspiration. This book contains inspiration found. In childhood, we embark on the amazing journey of discovery to distant realms of imagination searching for our path. 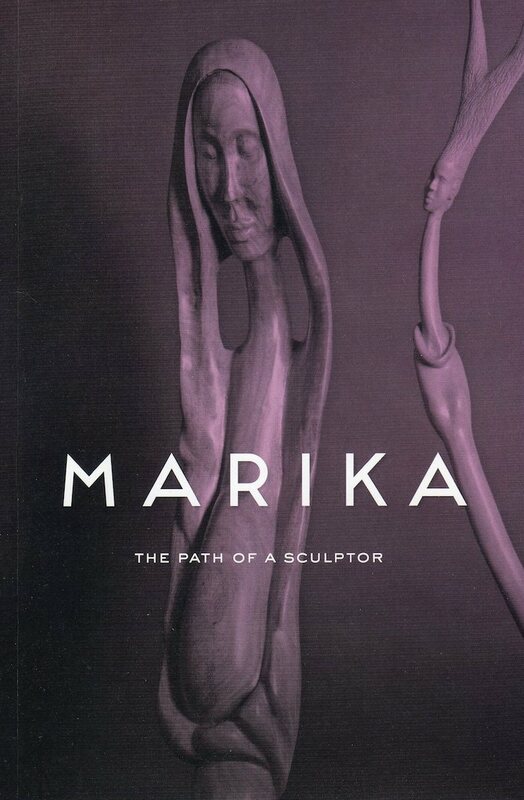 “Marika: The Path of a Sculptor” is an invitation to persevere in your quest for your full potential of a more creative life. It is my pleasure to welcome you to discover, through this book, the impeccable work of Marika. Let your eyes absorb the organic beauty of the grain that flows through the fabric of the wood. The poetry and the writings of others add another dimension to the collection. Let’s share their impressions in the unity of inspiration. The book is available at Bihl Haus Arts during Marika’s solo exhibition from May 16 to July 12. 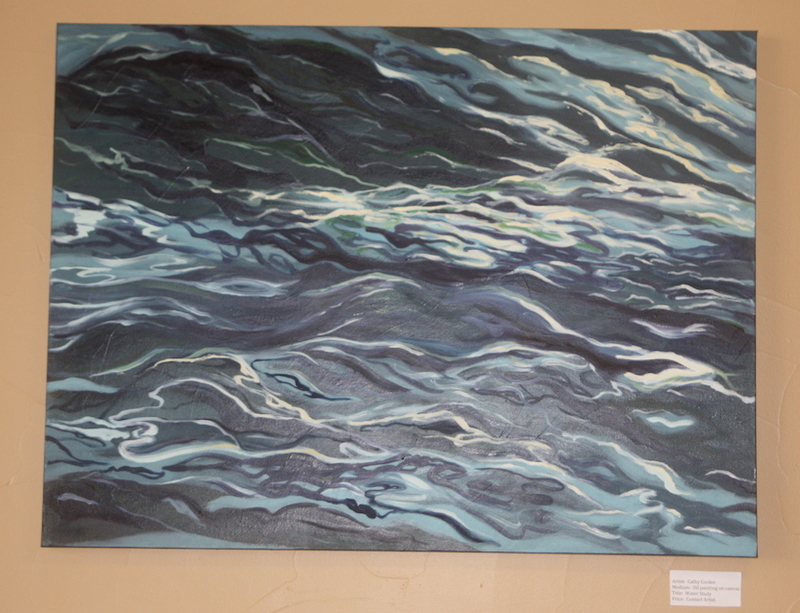 The opening reception is Friday, May 16, 5:30-8:30pm with live music, rum punch, and authentic Haitian foods. 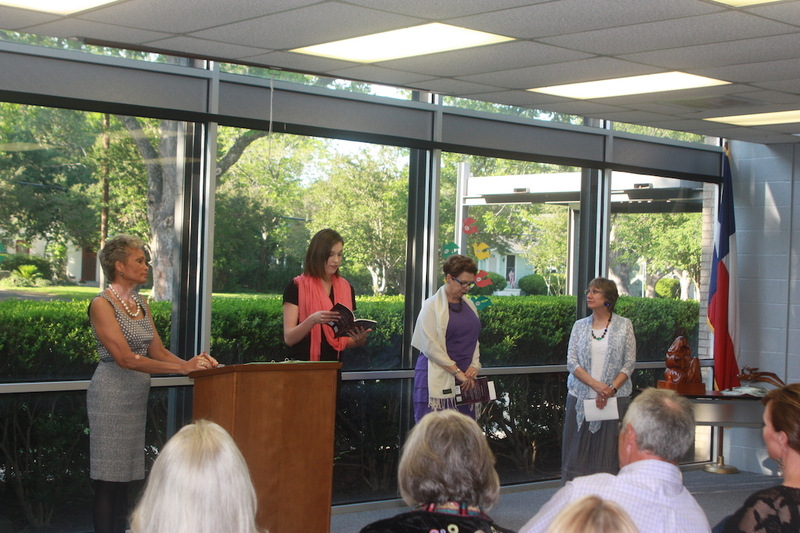 The location of Bihl Haus Arts is 2803 Fredericksburg Rd., San Antonio, TX. You can find the link to Bihl Haus Arts arts in the left-hand column under the heading “Arts Organizations”. Amazon. You can find the link to Amazon in the left-hand column under the heading “Marika Links”. Printed by: Litho Press, Inc., San Antonio, TX. Contact: Mark Mayfield.